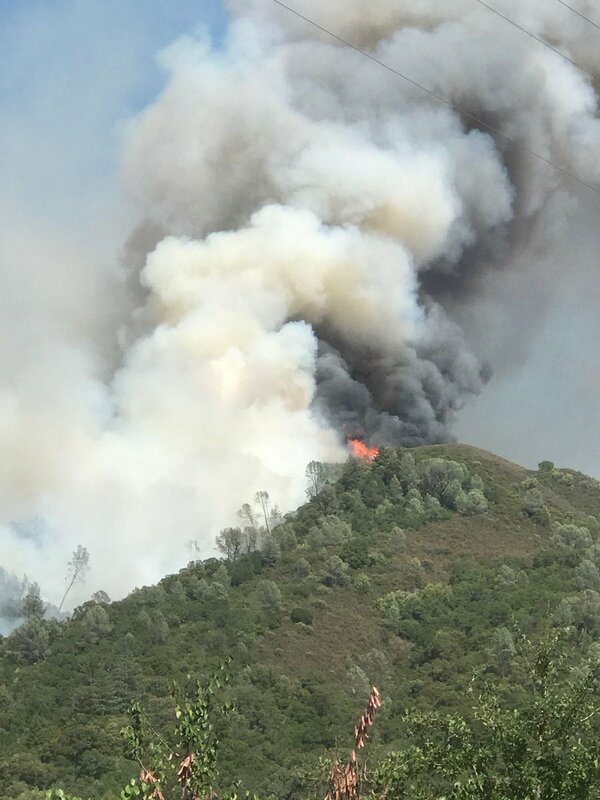 INCIDENT SUMMARY – 2 large wildfires are burning in multiple county, destroying and damaging hundreds of structures, prompting massive evacuations and injuring two firefighters. Here is the Sit Rep and summary of today’s fire activities. 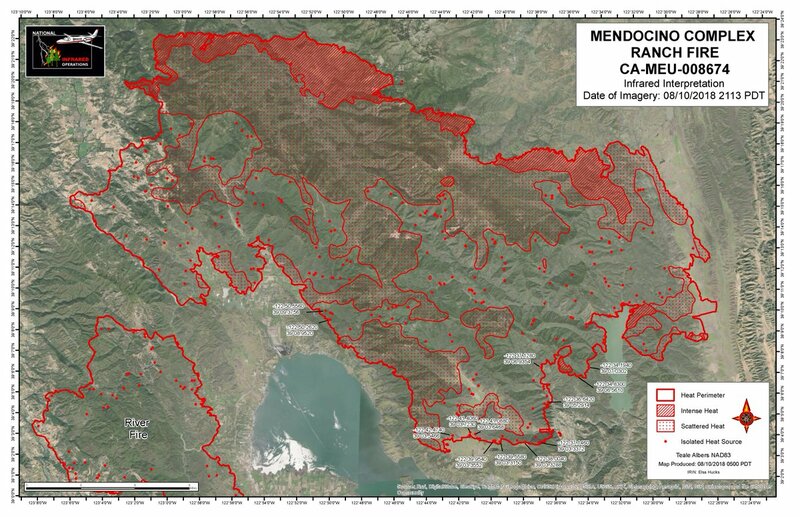 COMMAND – Unified Command with CAL FIRE Mendocino Unit / USFS Mendocino National Forest. Colusa County, Lake County and Mendocino County. Started 7/27/2018 1203 PDT. Cause unk. SR CA-20 @ MP 39, Old Lake County SR, Blue Lake, 8 mi NE of Ukiah. 276,306 acres. 58% contained. Started 7/27/2018 1301 PDT. Cause unk. Old River Road, 6 miles N of Hopland. 48,920 acres. 92% contained. 325,226 acres. 67% contained. 0 deaths. 2 FF injuries. 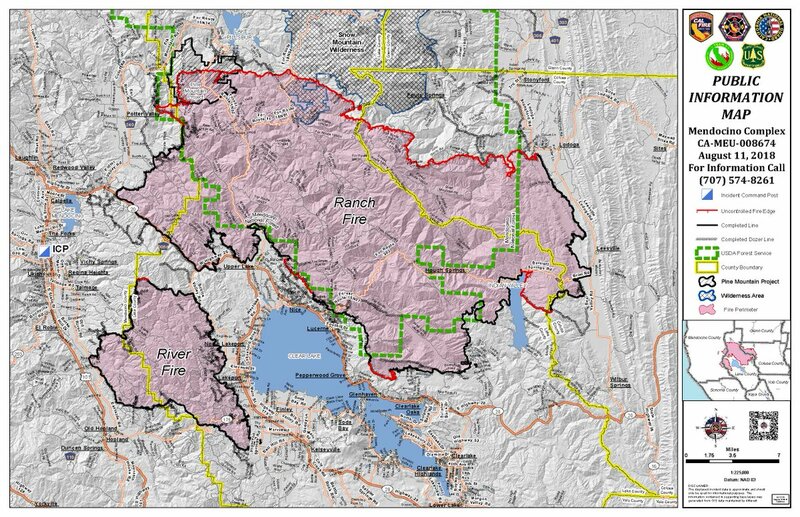 1525 structures threatened. 139 homes, 119 other destroyed. 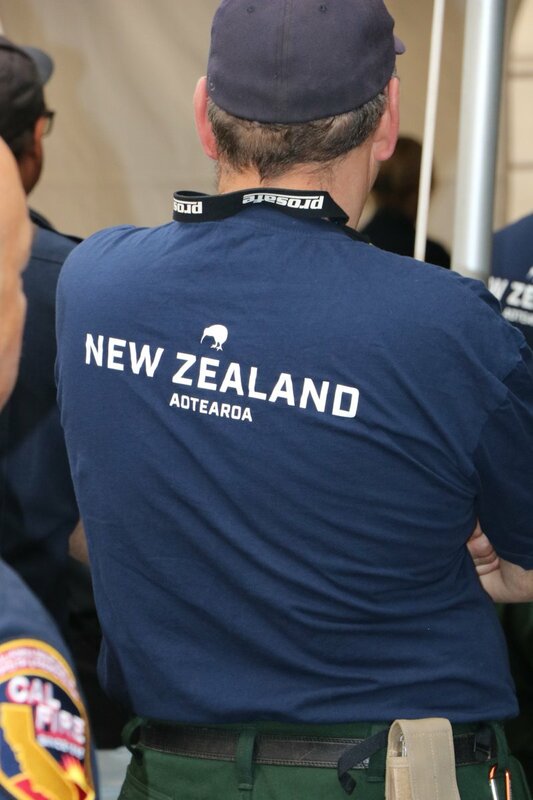 13 homes, 24 others damaged. The northern portion of the Ranch Fire was very active overnight and continues to threaten areas north of the fire perimeter. 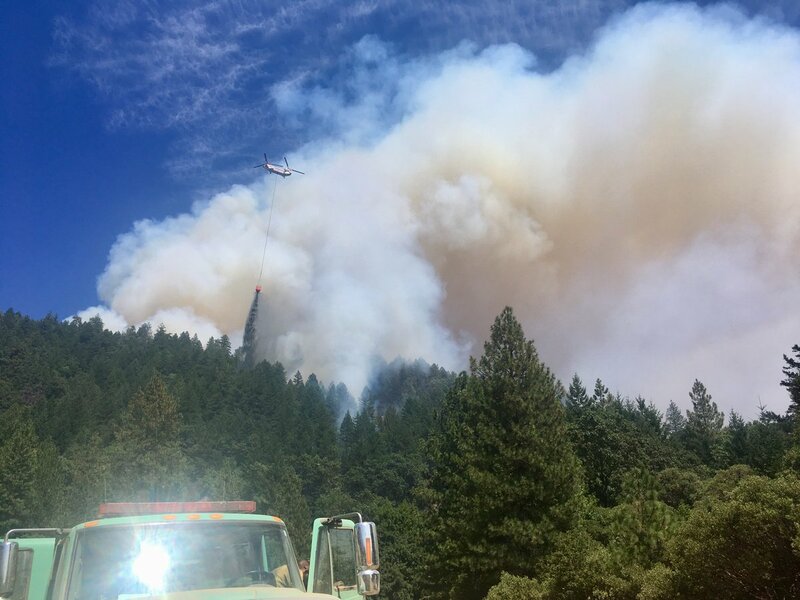 There was success bringing the western edge of the fire back into the Mendocino National Forest. 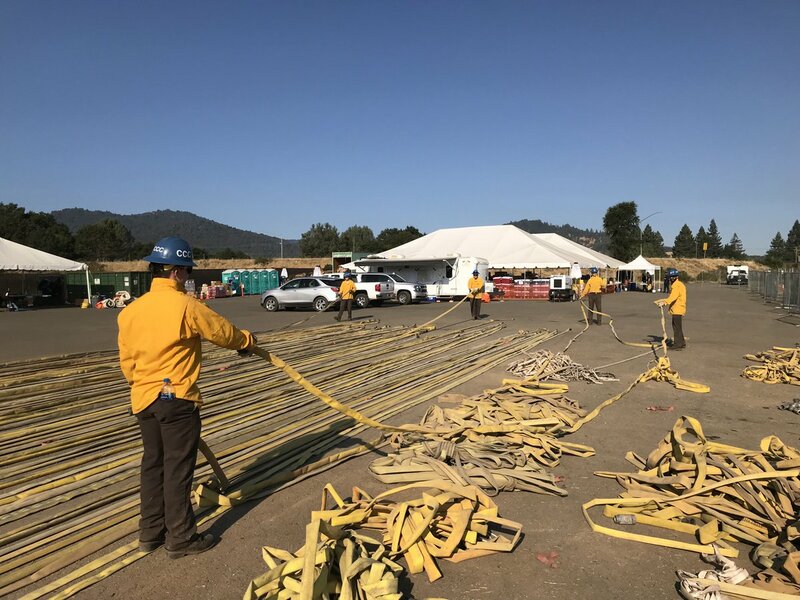 Fire crews continue working on bringing bring the east edge of the fire back in to the Mendocino National Forest, but obstacles and access still prove to be challenging. 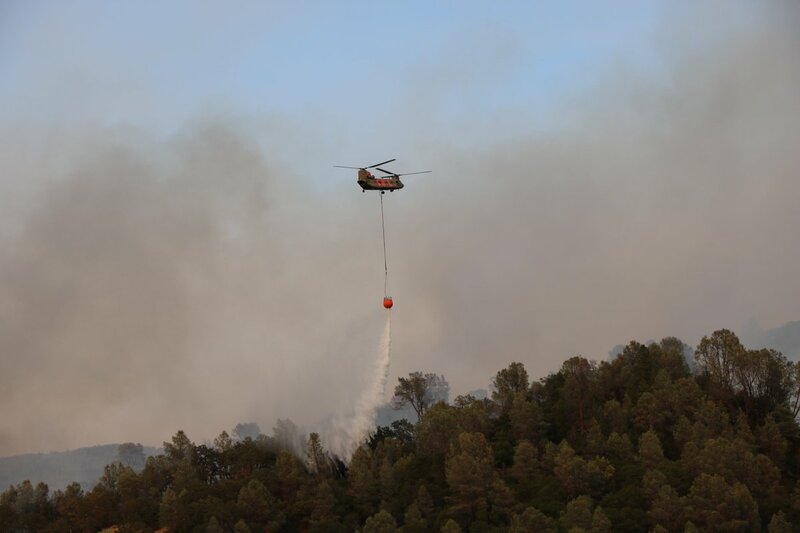 Most of the fire attack resources are being moved to the northern region of the fire to help fight and suppress an active fire front that is pushing north. 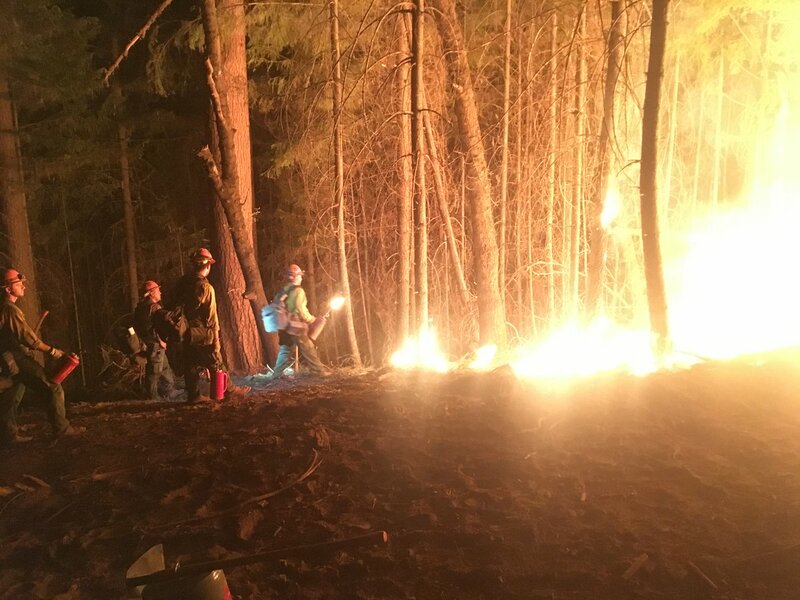 Crews southern perimeter continue suppression repair and patrol. 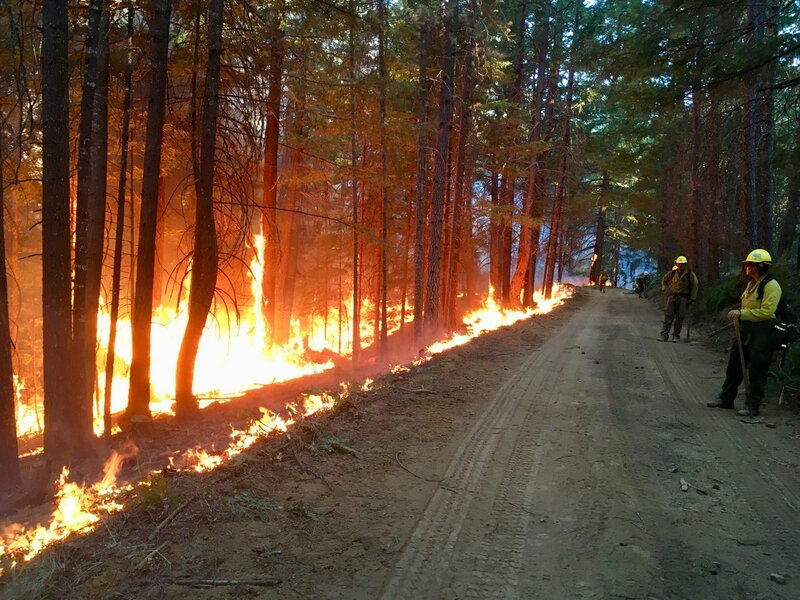 The River Fire continues to be patrolled with suppression repair crews on the ground. 293 engines. 92 water tenders. 20 helicopters. 65 crews. 80 bulldozers. 7 others. 3,521 personnel. Potter Valley Fire, Redwood Valley Fire, Ukiah Fire, California Office of Emergency Services, California Department of Corrections and Rehabilitation, California SR Patrol, Lake County Sheriff’s Office, Mendocino County Sheriff’s Office, Colusa County Sheriff’s Office, Glenn County Sheriff’s Office, California Highway Patrol, Australia and New Zealand Fire, Bureau of Land Management, Hopland Fire, Lakeport Fire, PG&E, AT&T, California Conservation Corps, and additional agencies from throughout California and other States.